My goodness, its taking a while for spring to establish itself, to still be wearing woolies at this time of year is unheard of. 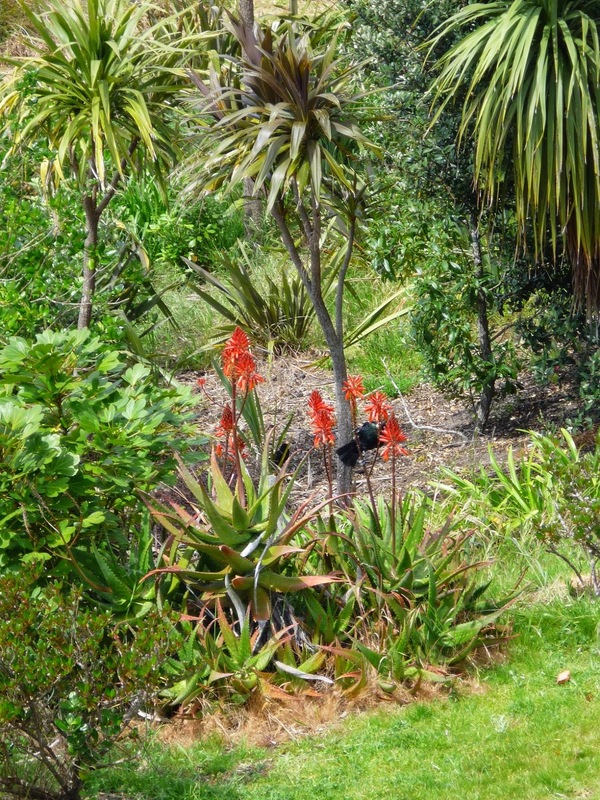 But the cool isn't deterring the tui boys showing off their spring plummage. 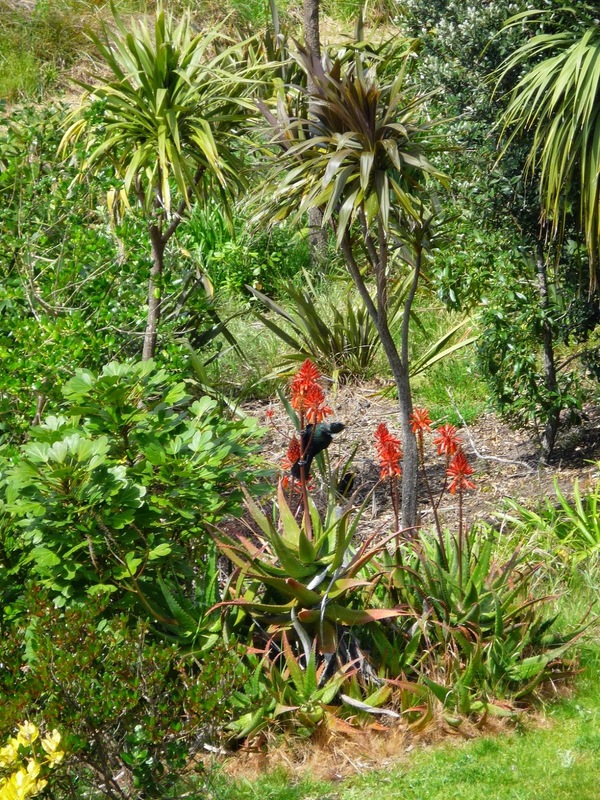 Maybe 8 or so years ago I was given the aloe vera plants and was told the tuis would love them - finally this year. If you click to enlarge you'll see the resident blackbird looking on. 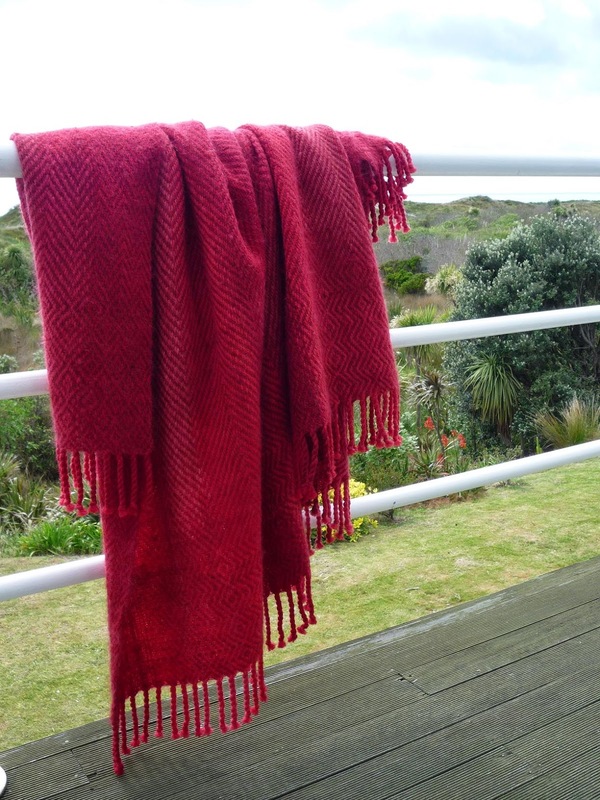 Oh nearly forgot to say one of my scarves won a third in the ARTWaikino exhibition but I don't know which one. So many people have commented to me how poorly my work was displayed that I will think very hard before entering again - or provide my own display prop. 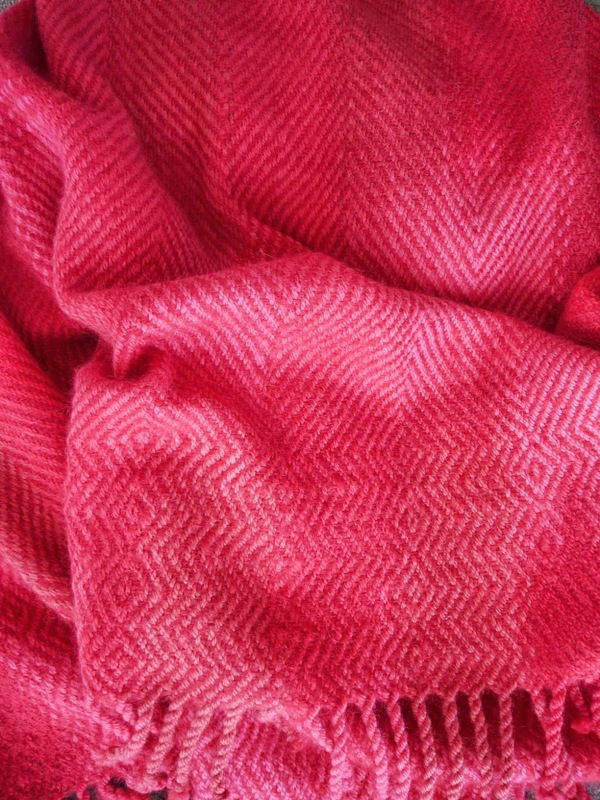 As always your blanket looks wonderful!